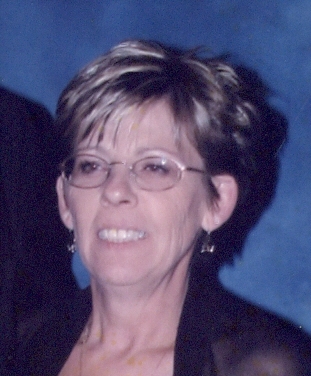 Obituary for Marie (Tyre) Montgomery | Hillside Funeral Services Ltd.
Montgomery, Marie (nee Tyre) 1954-2019 – Marie passed away peacefully at her residence in North Bay on Monday March 25th, 2019 at the age of 64 years. She was the beloved wife of 31 years to Mark. Dear mother of Lisa (Rob), Tina, Erin, Jennifer (Jay). She was a loving grandma to Katelin, Shaynna, Travis, and great grandma to Hailey and Grayson. Also survived by her mother Shirley Tyre, siblings Bob (Thelma), Charlene (Andrew), Doug, Rick (Mona), Darlene (Ray) and Wayne (Monique). Predeceased by her father Robert Tyre. Family receiving close friends at HILLSIDE FUNERAL SERVICES, 362 Airport Rd., on Friday March 29th 2019 from 2 until 4 and 6 until 8 pm. A celebration of her life will take place at the funeral home, on Saturday March 30th at 10:00 am. In lieu of flowers donations to the charity of choice in memory of Marie will be gratefully acknowledged by her family.